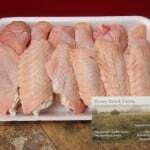 Listed price is based on a whole chicken that is just under 4pounds (at $5.25/lb). Final weight & price will vary. Our chickens move across chemical free pasture where they forage in the sun on a rich salad bar of local grasses, clover, & flowers while being supplemented with a Non-GMO Grain. The result is flavorful meat & eggs free from antibioitics and growth hormones. Chicken is processed weekly. 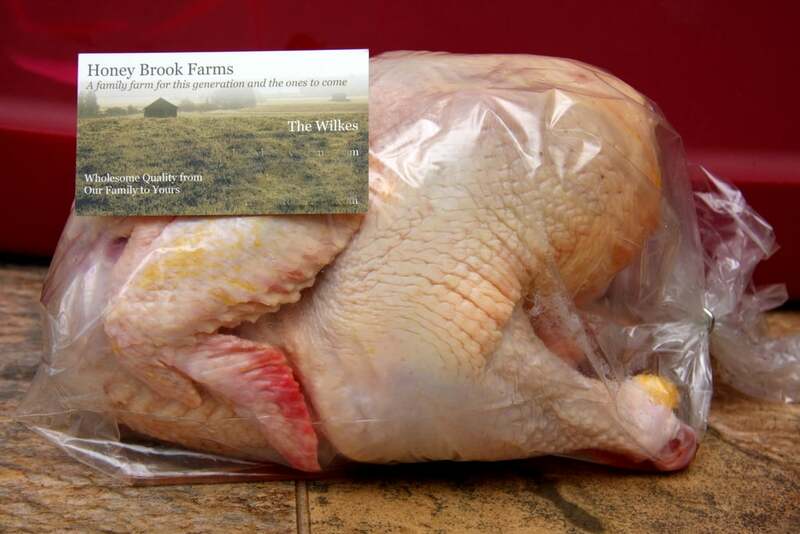 You can find ‘Fresh’ chicken at several of our markets and frozen chicken at all markets. Weight will vary – final price will be the weight times price per pound. Purchased two whole chickens this past weekend to roast for a family dinner. The price is very reasonable compared to any grocery store in the area. Let’s also not forget to mention that the chickens were extremely fresh and tasty, which is never the case with grocery bought chickens. I will be going back to buy more very soon! WONDERFUL natural chicken! 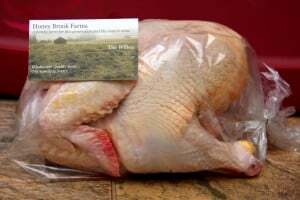 I bought a whole frozen chicken from Honey Brook to make broth for a sick friend. I cooked the chicken for hours on the wood stove (about 200 degrees) in a 4 gallon stock pot. I deboned the meat and used the stock for soup here. One 3# chicken made about 3 gallons of rich broth. Most went into the freezer and some to sick friends. I am enjoying it in homemade soups and in pasta cooking broth. GREAT taste and healthy food. My friends and I will have more purchases in the future from Honey Brook Farm. They raise their food the natural and healthy way.